Our ability to analyse the genetic make-up of the human body has rapidly improved over the last few decades. The genetic basis of different diseases is gradually being deciphered through scientific research and more and more people are having genetic tests to diagnose or predict illness within the health care system. Genetic tests developed over the past thirty years have focussed on identifying the cause for a range of different conditions. Targeted genetic testing looking at particular genes within the genetic code has thus been widely used. Techniques have now moved on so much, that it is often easier and cheaper to examine the entire genetic code, rather than home in on particular genes suggested by symptoms or a family history. Genetic tests to date have therefore largely been done to answer particular questions; “Have I got a high chance of breast cancer?” or “Have I inherited the condition in my family?” Modern day genetic testing can also answer questions we haven’t posed, and which might reveal entirely unexpected risk of disease. But what do our genes really say about us? And what if a genetic test showed something that wasn’t expected that could affect you in later life? And what is the effect on the individual’s family? 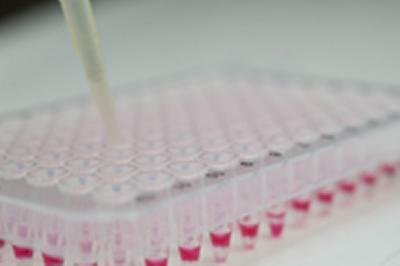 The University of Southampton is currently conducting a study, funded by Cancer Research UK and National Institute for Health Research, which is exploring the ethical issues in discovering unexpected genetic test results otherwise known as incidental findings (IFs). Through interviews with patients and health professionals the study is outlining how future clinical practice may have to change to incorporate the possibility discovering such incidental findings. Professor Anneke Lucassen, a clinical geneticist at the University of Southampton and consultant in clinical genetics at Southampton General Hospital, comments: “Moving from targeted to broad genetic testing is resulting in a growing ethical and moral debate about how such tests should be used. There are questions we need to be thinking about as new technologies enter mainstream use. “Unlike an X-ray where you might unexpectedly find a tumour that needs management now, with genetic testing you might predict something that could happen in 10 or 20 years’ time. If you predict a genetic disease with any certainty, you are also potentially predicting something about their relatives who have not asked for the test. Should their relatives be told that they might also be at risk?